Tired of searching for the best gel mattress reviews on the Web without success? Our team of experts has got you covered! With the growing popularity of gel mattress models thanks to their exceptional ability to help you sleep cool even during hot summer nights as well as their overall durability and innovative features, it makes a lot of sense that you’re thinking about getting one of those right now. Buying a new mattress every couple of years is not fun. In fact, nothing can be more annoying than splashing out a huge sum on a model that begins to fail after only a few years. This is why we have gone through and tested hundreds of the top models available for sale right now and chosen the best ones for you. Taking into account the quality of components, level of workmanship and of course customer testimonials, you’re set to find yourself a winner in the next couple of minutes. All you’ve got to do is sit tight and enjoy the ride. Feel free to use our comparison table to get a quick overview of what each has to offer so you can select the best out there for you. The Zinus 12-inch Gel Mattress provides the cool comfort and support of exclusive Gel-Infused Green Tea Memory Foam to make sleeping enjoyable again. It continues Zinus’ trend of releasing high performance mattresses at exceptionally generous prices. The Green Tea Memory Foam gives outstanding cooling benefits that ensure zero heat accumulation even in beds shared by multiple people. 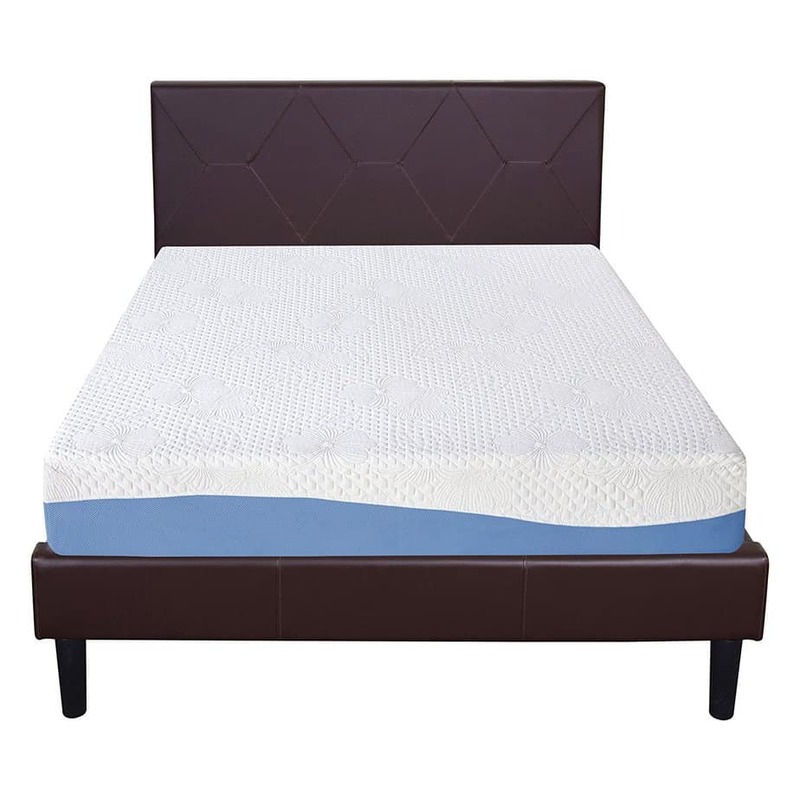 This 4-layer model features the very best foam mattresses on the market in the form of a 2-inch Gel-Infused Memory Foam layer at the top followed by a 3-inch Comfort Foam. The 3rd and 4th layers consist of 3.5-inches of Airflow High Density Foam and a further 3.5 inches of Airflow High Density Base Support Foam to provide long lasting support and durability. It provides medium firm support to fit the comfort needs of all kinds of sleepers including those who prefer sleeping on their stomachs, backs, and sides. After reviewing hundreds of models, it's no secret that Zinus makes some of the best mattresses out there. It is infused with a blend of natural Green Tea Extract and Castor Seed Oil to repel bacterial and a host of harmful chemicals including allergens. This blend also repels odor and ensures that your mattress always smells fresh. The Live and Sleep Resort Ultra is constructed with a mission to give consumers the most reliable and innovative gel mattress for a deeply satisfying sleeping experience. Regardless of the specific size you opt for, this model adapts to your body weight, shape and temperature. Sleeping hot is therefore effectively ruled out even if you live in a tropical region. Crafted from a mix of plush, breathable, and top notch quality materials, optimum comfort that cradles and cools your body is guaranteed. With the problems associated with coils and Latex foam mattress, it helps to know you’re investing in a complete gel memory foam model enhanced with the latest technologies to guarantee the best features on offer. Every inch of foam used has been tested, proven, and certified by CertiPUR-US to be free from toxic materials with eco-friendly properties to ensure everyone from kids to adults can sleep with their health in check. 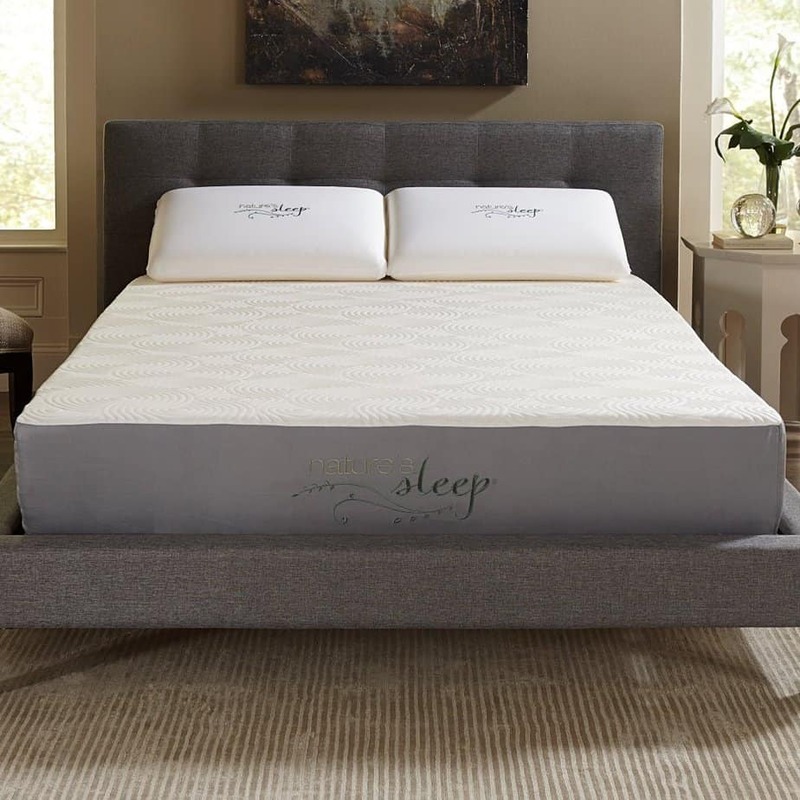 The Live and Sleep Resort Ultra delivers best-in-class sleeping comfort all night long and this is why over 90% of verified Amazon consumers rate it as 5 out of 5. With an extra thick profile that gives you the same memorable experience as a 5-star resort bed, it’s just a matter of when you’ll fall in love with this mattress. It is flexible enough for adjustable bases while being perfect for box springs and all sorts of traditional beds such as metal and wooden frames. 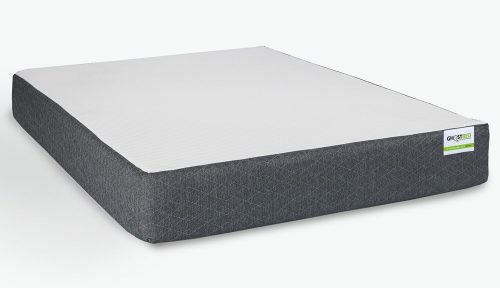 The Olee Sleep 10-inch Gel infused Layer Top makes it to our list of the best gel mattress reviews thanks to the generous price tag and quality of materials used in construction. 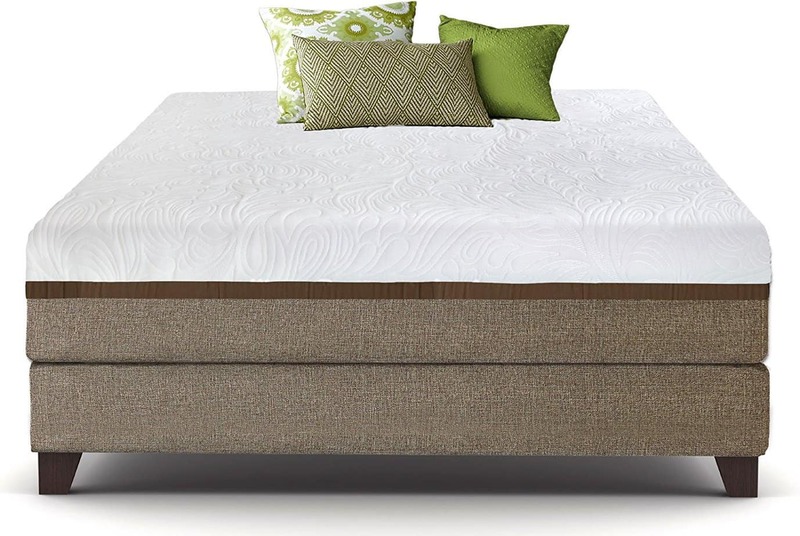 Sleeping on it gives you balanced top layer support regardless of your body weight. It enables everyone to sleep in the right posture so you can wake up ready to hit the road. The 1-inch top is manufactured from 8-pound soft memory foam integrated with Soft Power technology to give your body that soft plush feel that allows you to sleep like a baby. Sleep regulation is further enhanced by the 1-inch gel that serves as the middle layer of the mattress. A constant mattress temperature is achieved by the Olee’s natural ability to disperse heat accumulated from the sleeper’s body. The 3rd layer of the mattress provides ample support for the gel memory foam layers at the top. Manufactured from an incredible 25-pound density High Definition foam, this base support protects the upper memory foam from damage. The Olee Sleep 10-inch Gel infused Layer Top is a truly genuine product with some of the highest customer ratings on the Web. The unbeatable price tag is one of the main reasons why you should pay attention to it. A quick peek on Amazon shows that it is available at less than 50 percent of the price of rival models. While most people are forced to choose inferior products when money is tight, this model gives you genuine comfort on a budget. Opting for this model gives you a nightly reminder of money well spent. 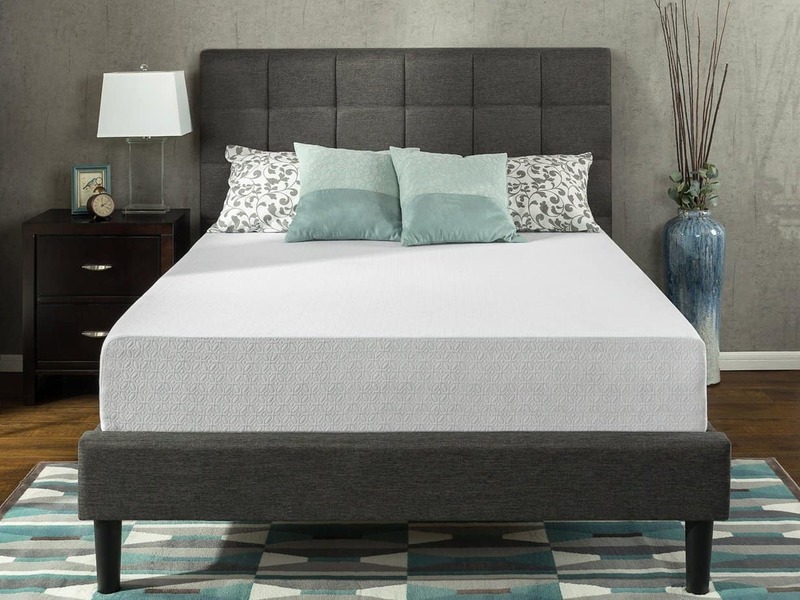 The Classic Brands Cool Gel Memory Foam has successfully debunked the myth that you need to spend thousands of dollars in order to find a perfect mattress. 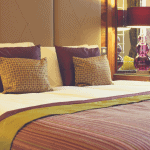 It naturally offers amazing quality and perfect luxury at a fraction of the cost. While hundreds of memory foam models are available, this 10.5-inch profile model gives you superior comfort over the others. A Plusher more comfortable sleeping surface should be expected the moment this mattress arrives in your home. This is thanks to the high density memory foam infused with refreshing gel particles. The memory foam packs loads of impressive features including optimum support for your back and custom body conforming properties. 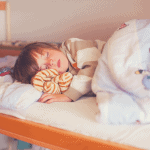 Tossing and turning is therefore effectively eliminated even in the most restless of sleepers. The foam used is CertiPUR-US certified to ensure a deep restful night of sleeping without being exposed to allergens, microbials, and toxic chemicals such as phthalates, and heavy metals. The Classic Brands Cool Gel Memory Foam is designed to draw heat away from the body to give sleepers premium comfort. The attractive cover is designed with a blend of Charcoal Gray and White in a 4-way stretch knit. It works hand in hand with the integrated memory foam to ensure absolute conformity with the body’s contours. 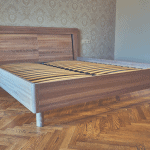 The mattress comes in a medium plush comfort rating which is perfect for adjustable bed bases. If you're serious about waking up feeling refreshed and reinvigorated, you can’t afford not to seriously consider this gel memory foam mattress. The Brentwood Home Cypress Mattress is one of the most in-demand gel mattresses online right now. The thick 13-inch profile makes it perfect for everyone from skinny to heavy sleepers. The manufacturer’s rigorous eco-friendly manufacturing standards means every inch of foam used is CertiPUR-US certified to be free from environmentally-hazardous chemicals including flame retardants, formaldehyde, and heavy metals. The mattress is designed to prevent odors, eliminate moisture, and keep the whole body cool and fresh. This is made easier by the soft knit stretch cover lined with the best natural wool sourced from New Zealand. The mattress is shipped by rolling and compressing to make it easier to carry into your bedroom. Once the mattress is laid on the bed and package removed, it begins to inflate to its full size within 24-48 hours. It is manufactured in the United States with a generous 25-year warranty that can be accessed in the event that something goes wrong within the stipulated time frame. 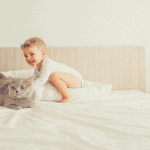 There are tons of reasons why the Brentwood Home Cypress Mattress makes it on our list of the best gel mattress reviews. It comes in a Medium Feel that provides ample support for the back, shoulders, and sides. It is perfect for partners thanks to the minimal motion transfer properties it is designed with. This ensures that you can enjoy the best of what Dreamland has to offer even if you share a bed with a restless partner. The fact that it can easily conform to your body makes it an excellent choice for partners with different preferences. The GhostBed 11-inch Latex and Gel Memory Foam comes with the latest technologies to transform your sleep. Handcrafted here in America, it is constructed with top quality components to ensure your genuine satisfaction every single night. Sitting at the top surface of the mattress is 1.5 inches of premium Latex foam that provides natural softness while contouring to your body. 2 inches of 4-pound gel infused memory foam serves as the 2nd layer to minimize pressure while ensuring that you sleep well enough not to toss and turn around during night time. The top cover comes in a deluxe-styled smooth design with quilted sides and a zipper that makes it easy to remove whenever you want to wash it. 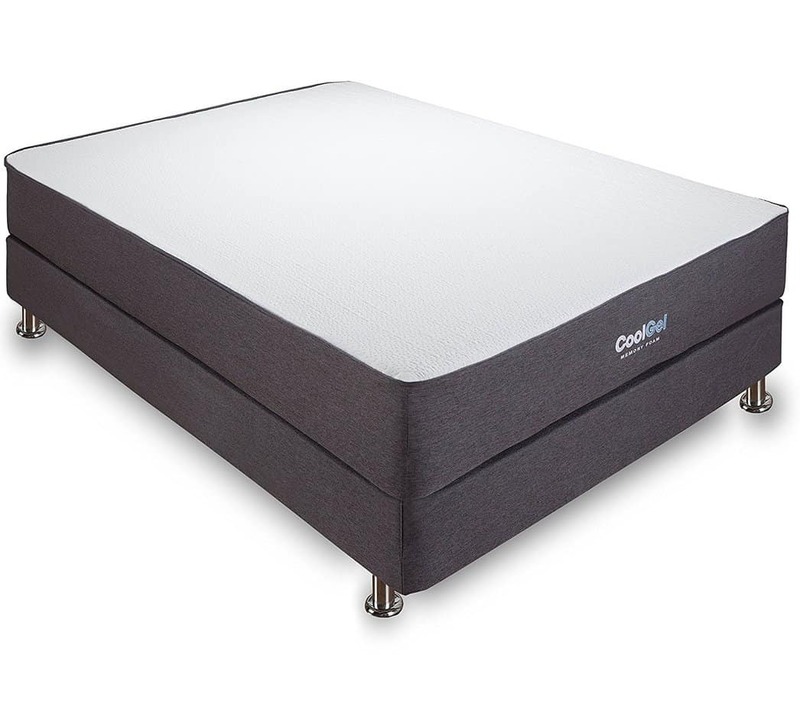 Buying the GhostBed gives you an exclusive 100-night sleep trial from the date of receipt so you can get ample time to test and decide if it is what you need. The manufacturer’s Free Returns Policy makes it easy to get a full refund if you decide not to keep it for whatever reason. The GhostBed 11-inch Latex and Gel Memory Foam is one of the few hand-crafted gel mattresses money can buy right now. Unlike most rivals, it is 100 percent American-made. The combination of Latex and Gel-infused Memory Foam promotes a natural balance between total body support and supernatural comfort. 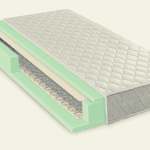 The latex foam top layer offers a plush sleeping surface ideal for the luxury needs of sleepers. The gel memory foam on the other hand helps regulate sleeping temperature. The mattress also sports a high-density base foam memory layer which boosts support so a night of restful sleeping will never be beyond you. The Nature’s Sleep 10-inch Gel Memory Foam gives consumers the ability to restore their sleep if they have been struggling for many years. Manufactured with Superior Gel Technology Memory Foam at the top layer, high pressure points of the body gain the necessary relief right from Day One. The foam material adapts to your body’s specifications and molds to ensure you are never robbed of a great night’s sleep. Greater feel and extended durability is further provided by the medium density support core of the mattress. The soft luxurious cover is made from a blend of cotton and velour with effective anti-microbial properties. In addition, it is easy to remove and wash thanks to the integrated zipper. Additionally, it ships in vacuum sealed packaging to guarantee the integrity of the mattress during transportation. This also makes handling and setup of the bed easier after it arrives on your doorstep. The Nature’s Sleep 10-inch Gel Memory Foam features a top layer integrated with the manufacturer’s Superior Gel Memory Foam technology. With the help of world-class technologies, gel beads are integrated into the memory foam while in its pouring state to ensure every inch of the foam is penetrated. This process results a memory foam mattress that sleeps cooler and more comfortable thanks to the advanced cooling technologies used.